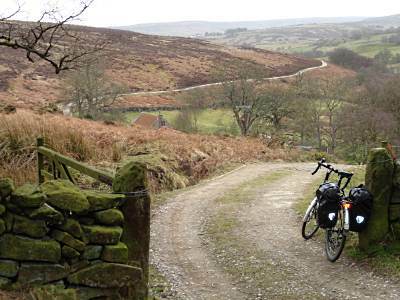 If day 1 was the Lakes, and day 2 the Dales, then day 3 was the North York Moors (above). This is just about my favourite bike-touring part of the world: a compact, beautiful landscape, where 15 minutes' swearing gets you up to remote sheepy solitude, but three minutes' glorious freewheel down gets you to a teashop or pub. 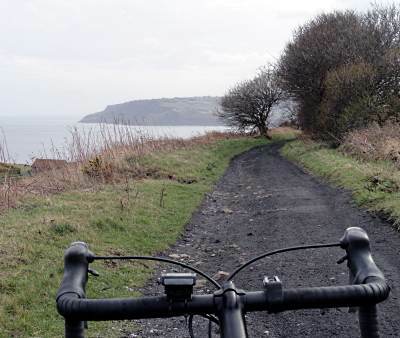 From Northallerton to Whitby was a flirt with the northern edge of the Moors; from Whitby to Ravenscar it was the 'Cinder Track', the railtrail down to Scarborough (above), perhaps England's most scenic. If you cycled this ten years or so ago, when the surface was appallingly bad - rutted, stony, uneven, muddy - you'd be amazed to see it today. It's even worse. Anyway, I got to Ravenscar just after 3pm. 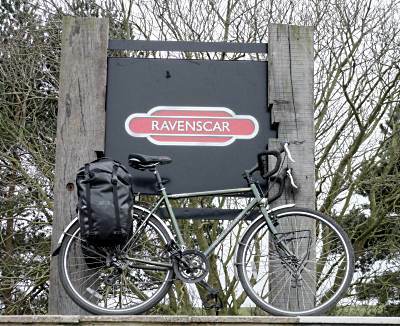 No chance of dipping my wheels in the North Sea here, to complement what I did in Ravenglass: Ravenscar was conceived as a purpose-built resort in late Victorian times, a grand project to rival Scarborough. However, it never took off, and Ravenscar became 'the town that never was' - partly because it's on top of a cliff, with no easy path down to the rocky 'beach'. 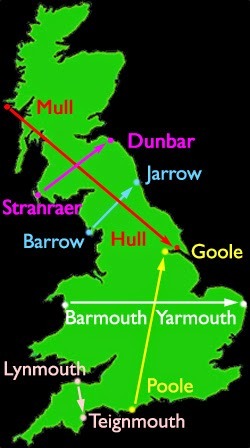 There's little there now except a handful of houses and the Raven Hall Hotel, where I had a very nice cream tea. There's a feeling of timelessness here, especially when you're waiting to get served.